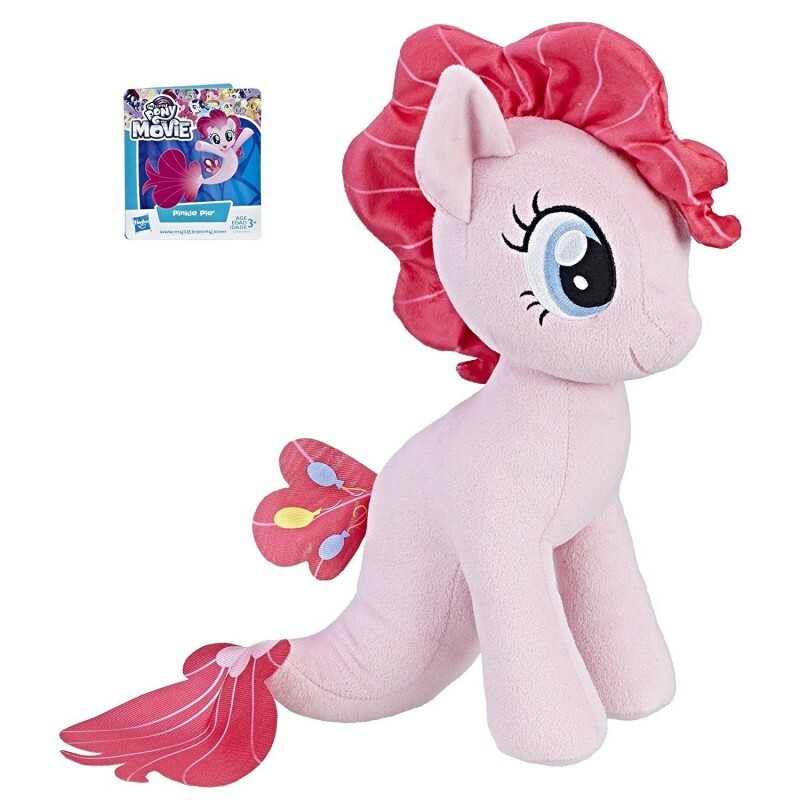 Inspired by the My Little Pony the Movie, this soft and cuddly Pinkie Pie plush figure has a beautiful mermaid-like tail and her cutie mark on her back fin. Approximately 12 inches in size, she's cute and colorful to match her character! Pretend to recreate favorite scenes from the movie or imagine new stories with Pinkie Pie as a sea-pony plush figure.